If you are searching for a James Bay Condo in Victoria BC to Buy you have come to the Right Place. I created a live map showing active listings for sale, Go Here and return often, new listings will be added often. So far this May there are 19 Pending and 11 Completed Sales for a total activity of 30 Condo Sales in James Bay so far this August. Find out What Your James Bay Condo will Sell For in our changing real estate, call or email fredcarver@remax.net to arrange a time to meet and view your home. 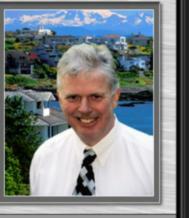 Fred, great way for buyers to locate a James Bay property, whether it be a single family home or a condo! Hi Joan Cox Thanks. I try and make as easy as possible for James Bay home buyers to find their next home.